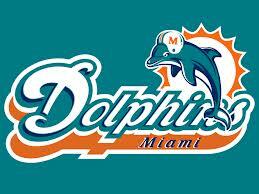 If you’re not a football fan, you may not be following the big love fest going on in Miami. Jonathan Martin, a giant of a man (6’5” 312 lbs) who plays offensive tackle for the Miami Dolphins, recently walked away from the team. He claimed to have been relentlessly harassed by a veteran lineman by the name of Richie Incognito. Incognito, another hulk of man (6’3” 305 lbs) with a reputation for being a bully, initially denied any wrongdoing. He challenged the reporters covering the story to prove the allegations against him. Proof came in the form of a phone message that Incognito left on Martin’s cellphone—a message filled with profanity, racist language and threats. If that’s how Richie talks to you when he loves you, I’d hate to see how he treats those he doesn’t like. Words that belittle, berate and bully don’t qualify as loving words. The Bible says love “always protects, always trusts, always hopes, always perseveres” (1 Corinthians 13:8). But this doesn’t mean love always feels soft and supportive. The Bible says love sometimes comes disguised as reproof (“wounds from a friend can be trusted—Proverbs 27:6). Love can come hidden as discipline (“the Lord disciplines the one he loves”—Hebrews 12:6). Jesus looked at the rich young ruler “and loved him” right before unsettling him with challenging words (Mark 10:21). In fact, the greatest expression of love the world has ever seen had a hidden dimension to it. When Jesus came to demonstrate the great love of God, “he made himself nothing, by taking the very nature of a servant, being made in human likeness. And being found in appearance as a man, he humbled himself by becoming obedient to death— even death on a cross! (Philippians 2:7-8). Now that’s truly love incognito.